When people are heavily burned they often are told that their scar tissue isn’t tattooable, and in many cases this means having to keep arms or legs covered even in hot weather. 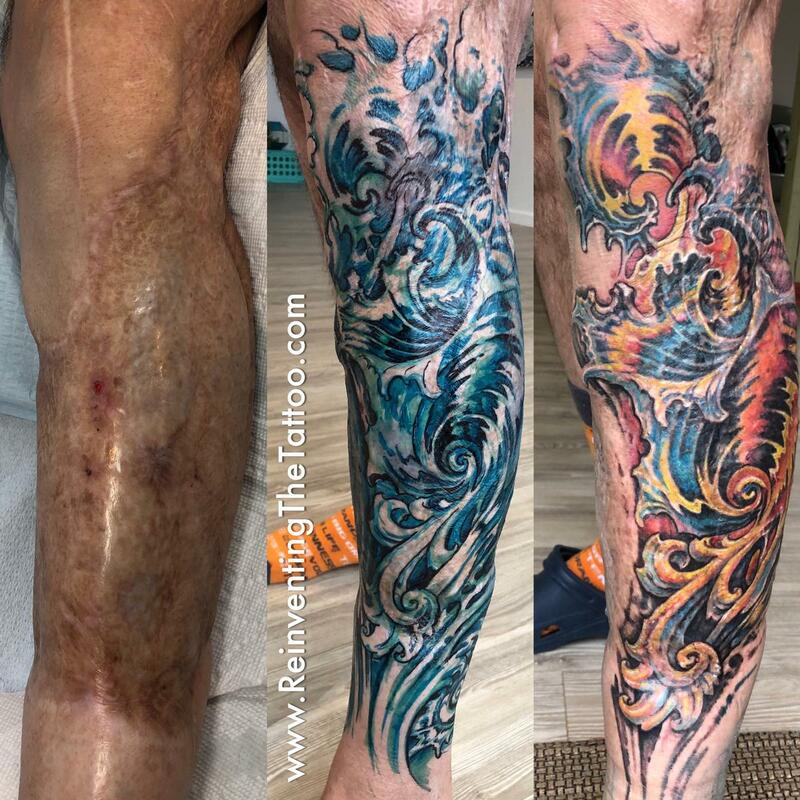 The fact is, scar tissue is not the same as regular skin and won’t necessarily respond well to conventional tattooing techniques. But with the right approach, including a careful use of linework, even deep scar tissue can be tattooed if the client is willing to do 2 or possibly 3 passes on the piece. Pictured above is a coverup I’m doing on Thomas who was badly burned 3 years ago. You can see how the major shapes of the piece were drawn in a way to flow with the scar tissue. You can read more about scar coverups in the Coverup chapter of your ReinventingTheTattoo.com subscription.